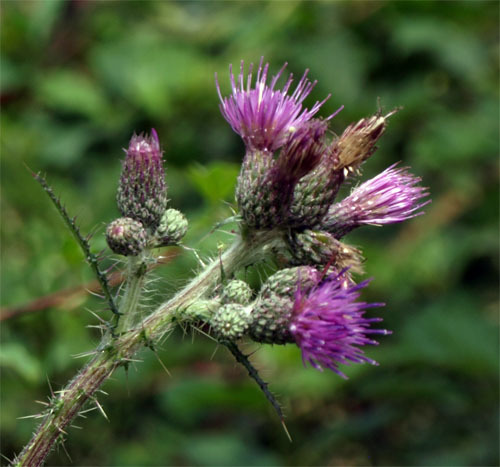 Marsh thistle is native to Europe. The method of its introduction into North America is unknown. It was first collected in the U.S. in 1902 and Newfoundland in 1910. It is unpalatable and replaces desirable forage plants. It can invade undisturbed riparian habitats, moist fields, and meadows. It replaces native vegetation, leading to a reduction in forage for wildlife and livestock. Several 1-2 cm wide flowers appear clustered at the end of the stem. The flowers are typically purple and occasionally white. The leaves are typically spiny and deeply lobed. 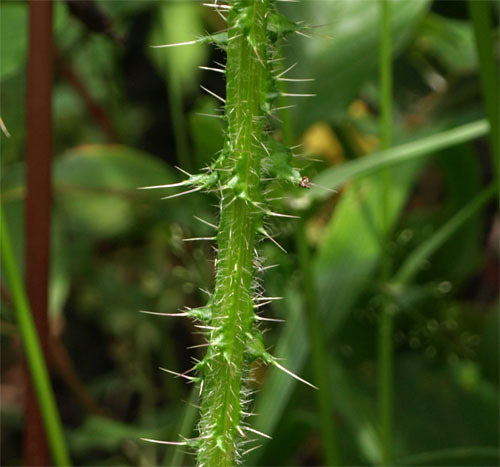 A key characteristic of this plant is the prickly wings that grow along its stem. 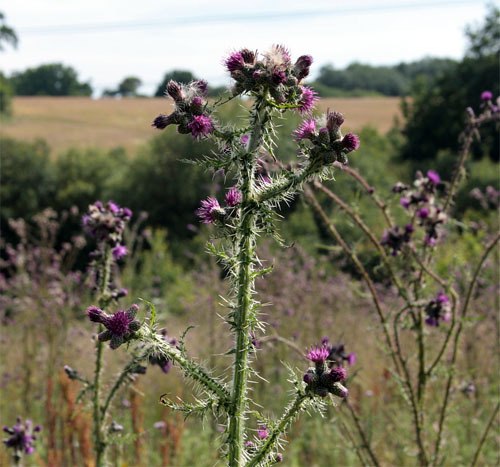 This thistle usually grows in moist areas and reaches up to 2 m tall. Canada Thistle - Cirsium arvense - but who cares - they’re both noxious weeds!